A strong finish to the group phase last season earned IFK Kristianstad a berth for the Last 16 of the VELUX EHF Champions League for the first time. Having won the Swedish championship for the fourth time in a row, and entering the VELUX EHF Champions League Group Phase for the fourth time, Kristianstad are trying to pull another surprise this year. But the team from former ‘Bengan Boy’ Ola Lindgren will have to compensate for several key players who have left. - Can Kristianstad repeat last season’s success and get to the Last 16 again? Last season Kristianstad made their debut in the knockout stage, where SG Flensburg-Handewitt became too much of a handful, though. A look at Group A suggests that the team from Southern Sweden face an uphill task to repeat that achievement. At home, in their Kristianstad Arena, they have always been a strong force. Larsson hopes the team will now also earn points regularly in away matches. - Can they continue to compensate for losing key players every year? Each year, Kristianstad have to close gaps in their team from important players who have left for bigger clubs in bigger leagues. This season is no exception as they have to try to replace players like right back Albin Lagergren, right wing Tim Sørensen and playmaker Gunnar Steinn Jonsson, all internationals in their respective countries. - How much of a help is the enthusiastic home crowd in the Kristianstad Arena? Like in previous seasons, the orange wall in the arena might give IFK the edge to take some surprising points on home court. However, most visiting teams are highly experienced and won’t be intimidated by a noisy atmosphere in an away venue. The 23-year-old Spaniard has joined IKF this summer from Granollers. He is the younger brother of Joan Canellas, and he will have to step out of his sibling’s shadow to help Kristianstad being successful in the Champions League again. Like Joan at Szeged, Marc Canellas is a playmaker, and his main tasks will be to organise Kristianstad’s attacking play and tie their new backcourt line together. His success in solving these tasks could be crucial to the team’s chances. Winning a fourth straight Swedish championship and reaching the VELUX EHF Champions League Knockout Phase for the first time has boosted Kristianstad’s self-confidence. Again, the home matches will be crucial to Kristianstad’s ambitions. “We had some great results in the past years in our arena and if we keep on doing that I believe we can do great things this year as well,” the Icelandic international says. With about 40,000 inhabitants, Kristianstad is not the biggest city of Sweden. 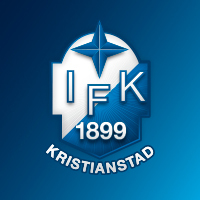 But for the second year in succession, IFK will not be the city’s only representative in Europe. Kristianstad Handboll are in the Women’s Challenge Cup again. Last season, the women went even a step further than the men by reaching the quarter-finals. IFK had their first golden age from 1941-1953 when they won the Swedish championship four times and finished second once. After winning the last title of that period in 1953, it took the club 62 years to finally become champions again. The 2015 title, however, started a series of four straight championships so far.